Comfortable and high-quality soccer shoes play an important role for soccer players to reach their skill at utmost level, even when you are playing at the different kind of fields, like grass, concrete, or on the artificial turf. In this case for artificial turf, the best turf soccer shoes are what they need to do the tricks just right such as dribbling, passing, shooting, etc. You can get shoes from prominent manufacturers due to their qualified experience to produce the top quality products. Several matters should be put into accounts before choosing one of the best turf soccer shoes. For your information, shoes for outdoor and indoor are different. Check the specs thoroughly to make sure you pick the right shoes to wear. Having top brands at the list will decrease the probability to buy bad products. The brand represents quality and the company cannot afford to lose customer’s loyalty. Soccer and Adidas are two things that cannot be separated. When making the top list for the best turf soccer shoes, Adidas will be on the list. Several products are launched to fulfill demand in soccer industry and one of them is Adidas Performance Mundial team Soccer Cleat. It uses leather for the main material and pre-midsole EVA to keep it lightweight. This shoe is capable to keep the foot from severe impact when doing intense and rapid movement during playing soccer. Synthetic lining and TRAXION will handle such purpose effectively. TRAXION is technology to keep the stability at the foot. You cannot afford to lose the game because of losing traction when running to reach ball or passing to others. Many shoes are capable to wear for a soccer match and you will like to wear one of them from Adidas. 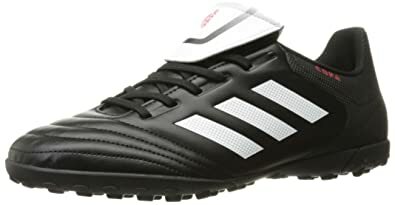 It is Adidas Performance Men’s Copa Tf specifically designed to deliver the real soccer shoes for the avid soccer player, amateur or professional. It is part of the best turf soccer shoes with advanced features and the top quality level. The shoes are available for indoor and grass field with few differences. For indoor, it has synthetic leather and rubber sole. For grass field, you can get shoes with turf outsole, full-grain leather, and plastic plate. Full-grain leather is material to support ball control and the plastic plate enhances player agility when taking some tricks. 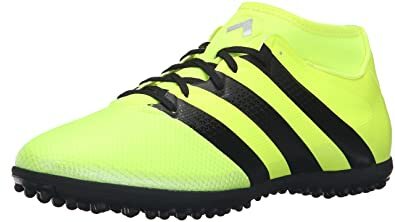 This is a shoe that you should wear for soccer. Nike entered soccer and sports industry since long time ago. Many shoes have been produced and recent mode incorporates new tech in order to keep the quality at the top level. One of the high-quality turf soccer shoes from Nike is Mercurial X Victory VI. What do you get from this shoe? It has a rubber sole, speed ribs, and internal cage to keep feet at locked mode. Sockliner is developed to feel comfortable for underfoot and this product uses Great Lotus. When needing speed, you will get it from outsole bladed to support the acceleration for running. As part of the best turf soccer shoes, Mercurial Victory VI is your recommended choice to buy. Perfect for concrete or artificial turf. Nike and Adidas dominate the sports apparel industry, but you cannot ignore Puma. This company has a long history as one of the best manufacturers in soccer and sports apparel. Several soccer clubs still wear the gears from PUMA. 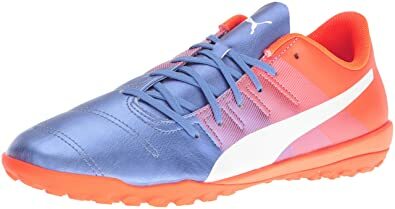 When talking about soccer shoes, PUMA Men’s Evopower 4.3 TT is on the recommended list. It is one of the best turf soccer shoes to put into consideration. It has synthetic upper for high durability and comfort cushion to keep the foot in a stable state. 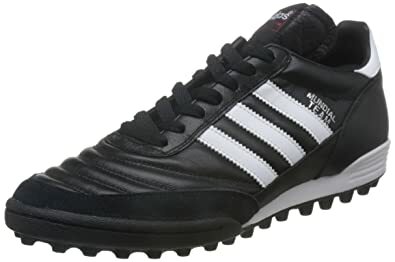 This is recommended soccer shoe for entry-level or beginner when doing trick during soccer. This product has EVA midsole, quilted panel, soft PU upper, and rubber sole with multi-studded. You can wear Evopower for playing in court with artificial grass or natural surface. You have Nike when needing soccer shoes to buy and wear. Several products are capable to fulfill what soccer player needs. One of the best turf soccer shoes of 2019 is Nike Men’s Magistax Onda II. Soccer shoe is rarely produced for women because this sport tends to be popular for men. However, the women’s version of this shoe will be a perfect choice for them. What are properties of this shoe? It has synthetic leather, perforated sockliner, and allover textured. Synthetic leather keeps the shoe at the lightweight level without reducing the capability while controlling the ball. Perforated sockliner makes this shoe more breathable and comfortable to prevent excessive temperature and sweating. This shoe is your choice when playing in a firm-ground field. Performance series from Adidas has several variants and one of them is Men’s Ace 16.3 Primemesh TF. This is soccer shoe for people who want to enjoy playing anytime with friends. 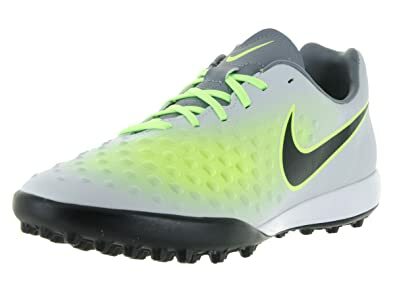 Material and specs of this shoe are the consideration to put on the list of the best turf soccer shoes in 2019. Adidas provides several colors with elegant design for customers. It has synthetic midsole and upper to enhance the capability and comfortable condition. The main material is synthetic leather to keep the weight as light as possible then support the easy ball control. This is a shoe that’s suitable for beginner to the experienced players. You can get Adidas products at near sports store or order them online. Overall, it’s a good partner for soccer players especially if you are a playmaker who needs better control of the ball. Each of soccer shoes has similar traits, but few of them incorporate more technology. That is why Adidas produces many shoes to show the quality and fulfill what soccer players need the most. One of the products from this company is Adidas Performance Men’s FF Stileiro. It is considered as one of best turf soccer shoes to choose on market. Performance series have characteristic with top-grade material and comfortable level for an intense match. The properties of this shoe are rubber sole, mesh upper, and turf outsole. Materials are available in three types, which are leather, textile, and synthetic leather. You can see the quality of this shoe when doing attack then acceleration. Well, the shoes from the similar manufacturer have the same technology, material, and iconic design. You can see such thing in Nike and Adidas. Of course, they create a distinction based in purpose and customer’s preference. Two major companies dominate this list and everyone knows their quality in producing soccer shoes. Each of them delivers the top quality to support soccer player for doing any tricks. Therefore, you just need to pick one of the best soccer shoes to fulfill such preference. When you are active in sports, you know that there are different kinds of shoes designed for different purposes. Among the many types of shoes, athletes are often wondering which type of shoes better for their needs: the cleat or the turf one. By the way, what is a turf soccer shoe, anyway? If you think that all shoes are the same, you may want to rethink about it again. Sports shoes are definitely different from one another and they are designed for a purpose. In most cases, sports shoes have cleats on the sole, designed from rubber or metal. The cleats are mostly stiff to provide better traction and grip, especially if you are playing in the muddy and slippery field. So, what is a turf soccer shoe? 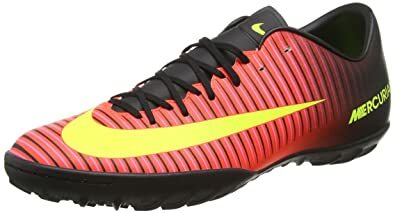 Unlike the cleats, this type of shoe is more flexible. The main purpose is to provide mobility and easy movement so the sole won’t be as stiff as the cleats. 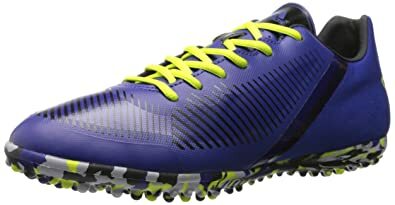 Whereas a cleat shoe is designed to improve traction on the soft surface, the turf shoe is designed to minimize slippage while improving mobility. A soccer cleat is somewhat more solid because the cleats can dig further into the soil while the turf shoe isn’t. Because turf shoe is mostly designed for the artificial turf area, it is somewhat lighter – but not necessarily better. Turf shoes are designed to improve speed and movement, especially is the slick and slippery surface. But if you are looking for a more reliable shoe for a muddy area, you want to choose the cleats because wearing the turf will be useless. There won’t be any support or protection from the shoe. When you want to choose the best turf soccer shoes, make sure that you know the area of your game. Now that you already know what is a turf soccer shoe and its function, you can make a careful option. After all, you want to improve your game, right? Check this video for some excellent moves and tricks when playing soccer/futsal on the ground!